While Vermont claimed the top spot, Oregon slotted into the #2 ranking of states with the highest percentage of inbound residents. Windermere Realty Trust matched many of the criteria I sought when I changed real estate brokerages almost 18 months ago. 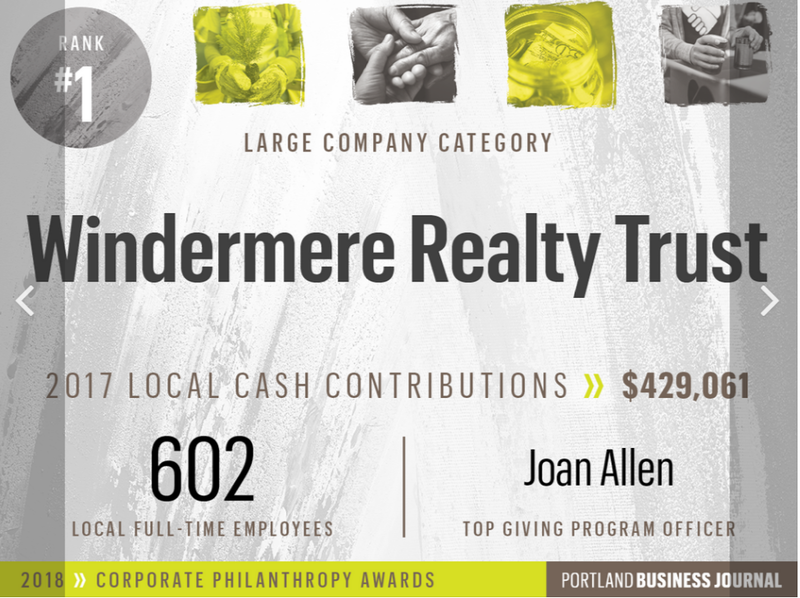 Among those criteria was community support, for which the Portland Business Journal has just announced Windermere Realty Trust as the Most Generous Corporate Philanthropist among large corporations in Oregon & SW Washington. Together with this firm’s professionalism and collegiality, the company’s community support is second to none. I am proud to be affiliated with Windermere Realty Trust! The Community Transitional School is trying desperately to collect enough school supplies for its community as the school year is about to begin. 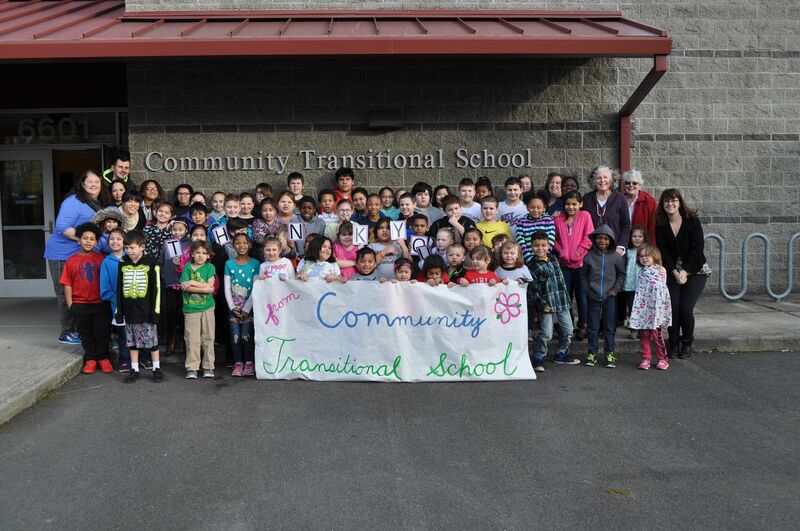 The Community Transitional School serves “the hidden homeless,” the students who live with their homeless and transient families through Multnomah County. The school is always striving to achieve its mission: To provide at-risk children with a stable educational environment that promotes their academic and personal growth. If you are able to gather supplies, please deliver your donations to the barrel labeled “Positive Charge! for Community Transition School” at my office – Windermere Realty Trust, 6443 SW Beaverton-Hillsdale Hwy., Suite 100 M-F from 8-5:30 (closed on Labor Day), or contact me at Jon@JonCohenRealty.com or 503-720-9393 to arrange for pickup. As always, your kindness and generosity is greatly appreciated. Sign up for Neighborhood News right now and you’ll have a chance to connect with the Portland Timbers – you’ll be entered into a drawing for two tickets to the next Portland Timbers home game on July 7, 2018. Signing up is easy. 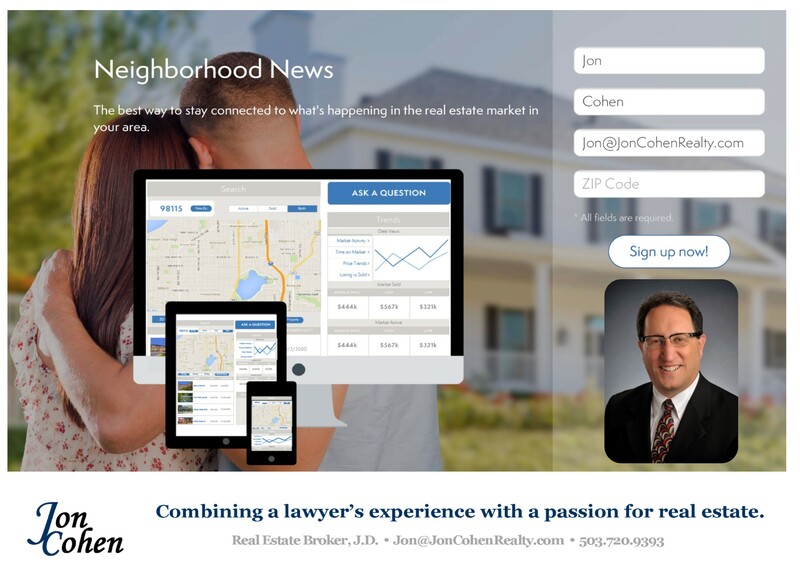 Just go to the Neighborhood News page at www.JonCohenRealty.com – or click the photo above – and sign yourself up. You can also send me an email at Jon@JonCohenRealty.com with the zip code of any neighborhood where you might like to live or buy investment property. 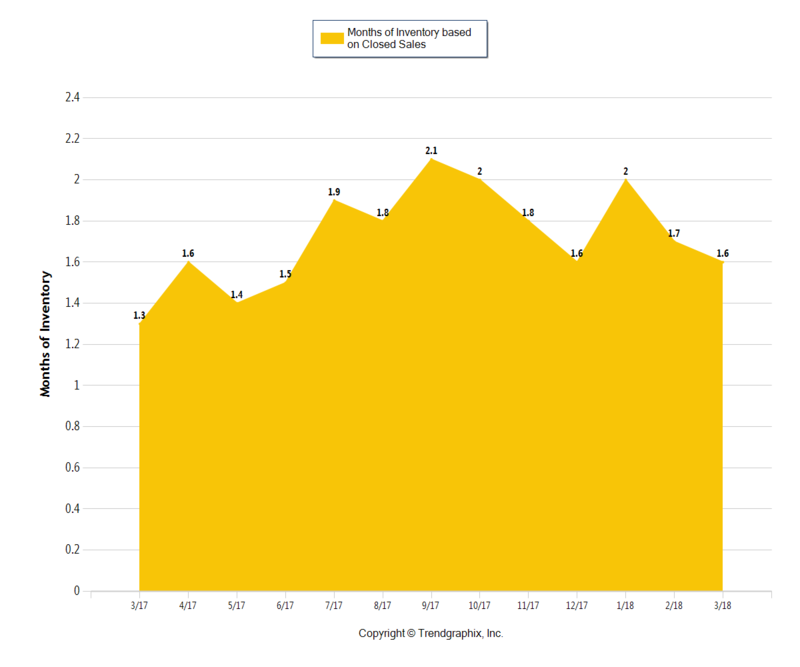 You will receive your first Neighborhood News right away and receive monthly updates with fresh data every 30 days. This is just one of the ways I can help you meet your real estate needs. 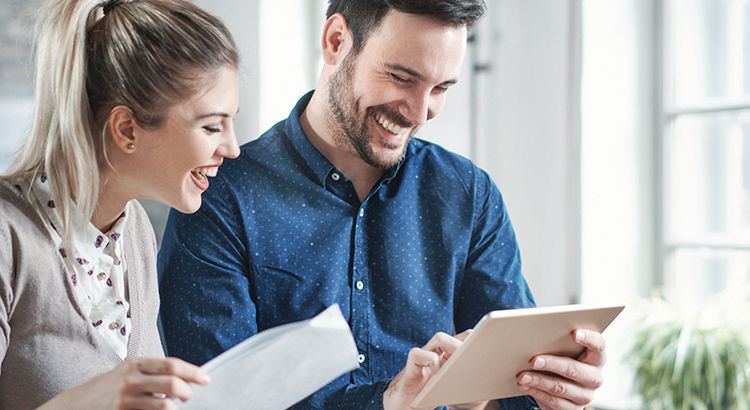 I am always happy to connect with you to talk about your real estate goals and how I can help you achieve them. I look forward to connecting with you soon. The Portland real estate market is poised to accelerate into the spring selling season. January and February brought a slight uptick in residential inventory from the end of December, 2017. Our inventory dropped back down to 1.6 months by the end of March, up from the same time last year. The median sale price for a Portland-area home was $395,000 in March, 2018. This is 6.8% higher than a year ago. Houses are also moving just a little faster, with the median number of days on the market dropping to 55 – 5% lower than a year ago. I expect to see more houses listed for sale in the coming months, typical for the spring month. I also expect the number of active buyers will increase, maintaining pressure on inventory levels and prices generally. For more information about your current neighborhood market, the market in the neighborhood where you’d like to move, or any of your real estate needs, please do not hesitate to contact me at Jon@JonCohenRealty.com or 503-497-2980, and look for your neighborhood information on my website – JonCohenRealty.com. In all but 7 states, Oregon imports more people than it exports, creating a population trade surplus. 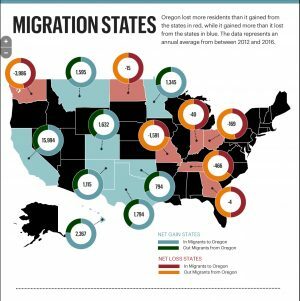 The Portland Business Journal recently published this great infographic (click on the photo to go to the interactive map) showing that Oregon has a trade surplus will all but seven of the United States. The commodity creating this surplus? People! 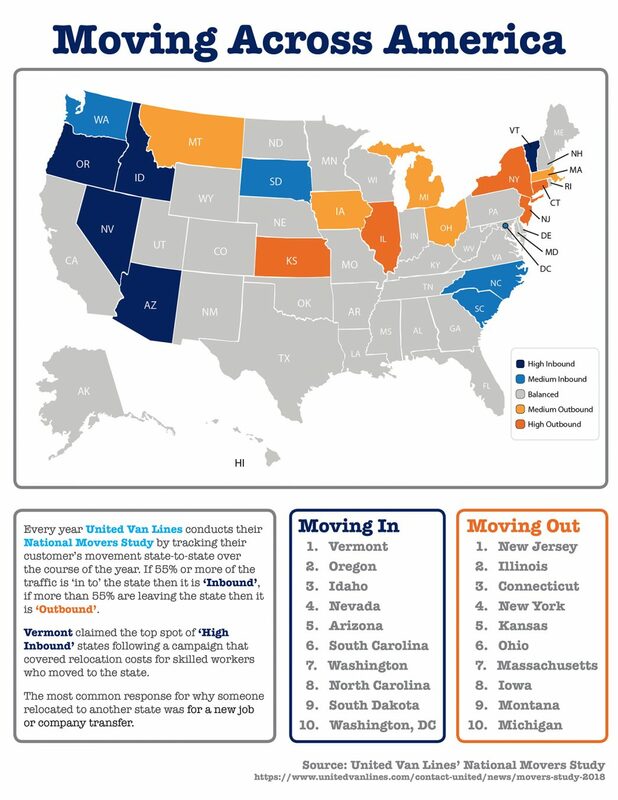 State by state, more people are moving to Oregon than are moving from Oregon to those states. As a result, Oregon’s population continues to rise. So when you learn that a friend or colleague is moving to Oregon form California, Colorado, Texas, or any of the other 43 states with a population trade deficit with Oregon, kindly tell them that you know a great Realtor in Portland who would love to introduce them to his great city. WHY IS THIS REAL ESTATE BROKER LOOKING FORWARD TO JURY DUTY? 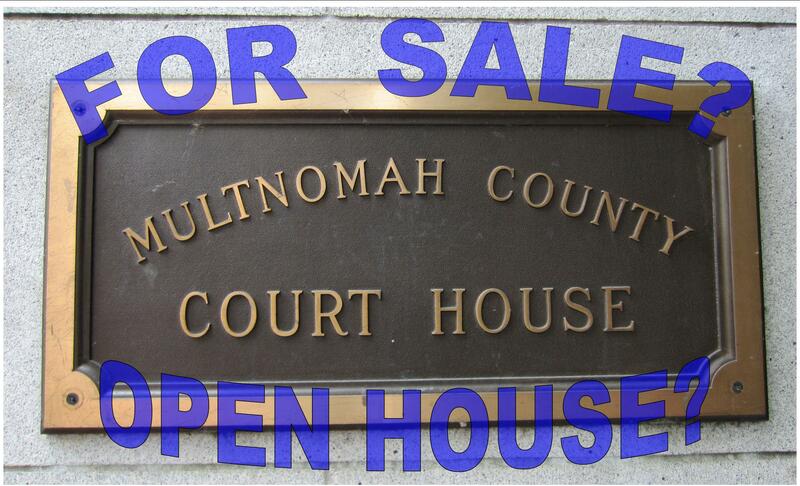 The Multnomah County Courthouse is not for sale – yet! However, as I reinstate my real estate blog, something from my days as a lawyer is crossing into my real estate world. Later this month I will have the honor and the duty to fulfill my civic responsibility to appear for jury duty, and hopefully be chosen to sit on a jury. While this statement may trigger memories of the creative excuses you manufactured to avoid jury duty, or the times you cringed at the thought of spending any part of a day, or several days, listening to lawyers, witnesses and judges, I’m still looking forward to the opportunity to serve on a jury for the first time. By now, you are probably wondering why this real estate broker is writing a blog post about jury duty, and why is he using words like “honor,” “duty,” “responsibility,” and “opportunity.” I’ll explain. Almost 35 years ago, not long after I graduated from college, I received a notice from the Boulder County, Colorado Court calling me in for jury duty. As a soon-to-be law student, I was excited about the possibility of serving as a juror. During the jury selection process, one of the lawyers asked if I was employed and where I worked. I told him that I was employed at the Denver law firm of Fairfield and Woods as an office clerk. The lawyer turned and spoke briefly with the judge, and the judge then informed me that I was excused. The next time I was called for jury duty was in Portland, after I completed law school and began working as a lawyer. The story line didn’t change much over the years. The Court called me for jury duty, I appeared as requested, and, if called to a courtroom for jury selection, one of the lawyers summarily dismissed me because I worked as a lawyer. For so many years I’ve wanted to serve on a jury. And for so many years I’ve missed that opportunity because most lawyers prefer not to have other lawyers serve on their juries. Now, perhaps my time has come. I’m a real estate broker now and have been for almost 14 years. Will I finally have the honor and the opportunity to experience all the responsibilities of jury duty? I’ll let you know in a couple of weeks.